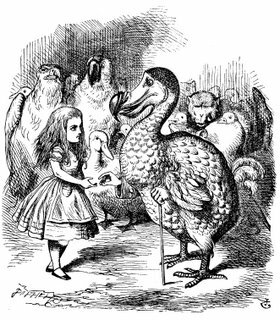 Three hundred and fifty years ago, a three-foot tall, flightless bird lived on the islands of Mauritius off the eastern coast of Africa. Then it vanished. The last reported sighting of the infamous dodo took place in 1662. The famished sailor who saw the last known dodo . . . ate it. In the previous century, the creature had been hunted to the brink of extinction (despite the fact that most agreed that its meat tasted terrible), and animals introduced by European colonists had destroy its nests. Yet the bizarre bird was never forgotten, although until the 19th century, most believed it had been little more than a myth.